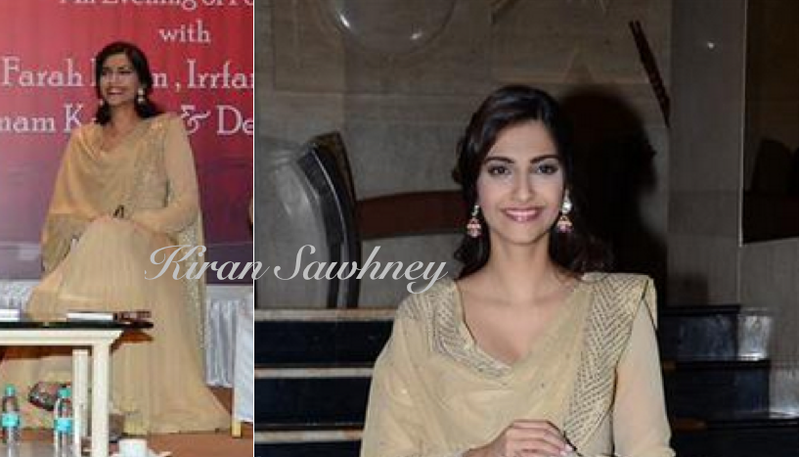 At the book launch of lyricist Irshad Kamil, in Mumbai, Sonam wore a simple beige color long anarkali by designer duo Abu Jani Sandeep Khosla. It had simple cut dana work on the dupatta. She teamed it with diamond and ruby earrings and finished the look with mojris. She looked good.